Make an alluring addition to your girl's closet with this attractive t-shirt. 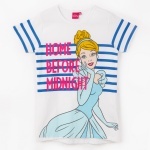 Sporting a Cinderella print at the front, it carries unique look. 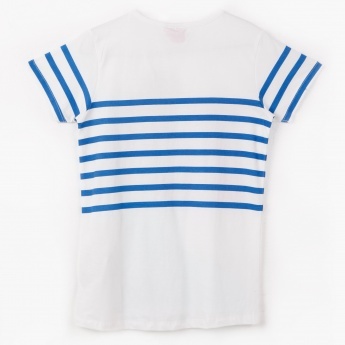 The striped pattern and round neck add to its charm.